Polytechnic University of Valencia, Spain. Dr Ioseba Soraluze is a contemporary art conservator and Head of the Painting Department at the Conservation Center of Cheng Shiu University. 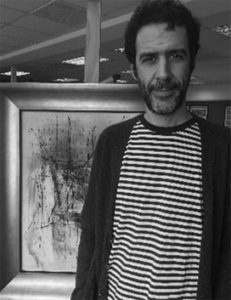 He received his PhD from the Polytechnic University of Valencia and has worked in several contemporary art museums in Spain. Since 2006 he has been based in Taiwan and has carried out conservation and research projects with different museums, galleries and institutions in the country. He also does consulting related to acquisitions and conservation of contemporary Chinese art for auction houses in Hong Kong. Institute of Conservation of Cultural Relics, Tainan National University of the Arts, Taiwan. Lu Chien Hua is a graduate conservator from the Institute of Conservation of Cultural Relics, Tainan National University of the Arts. Since 2007 she has been working as oil painting conservator at Conservation Center of Cheng Shiu University. During this time, she has been in charge of different restoration projects related to national heritage. Previously, she worked as conservator and curator at Kaohsiung County Cultural Affairs Bureau. Conservation of Paintings on canvas and wood, Institute Palazzo Spinelli for Art ad Restoration, Italy. Hera Chen is conservator of paintings. She earned her Diploma in art conservation and Masters in management of cultural and artistic events from the Institute Palazzo Spinelli for Art and Restoration in Florence, Italy. She has gained various conservation experiences of both traditional and contemporary art in Italy, Taiwan, Hong Kong and now Singapore since 2007. She has worked on large on-site government or institutional projects as well as for museums, auction houses, galleries and private collections. 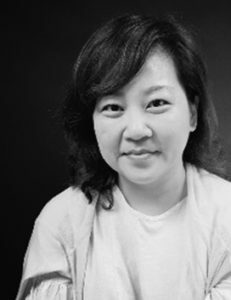 Tai Chun Shan is a paper conservator, who specializes in Asian painting. She acquired her MA from the Institute of Conservation of Cultural Relic and Museology (formerly Conservation of Cultural Relics), Tainan National University of the Arts School. In order to learn from the masters, she had worked as an intern in many prestigious museums, such as National Palace Museum and Metropolitan Museum. 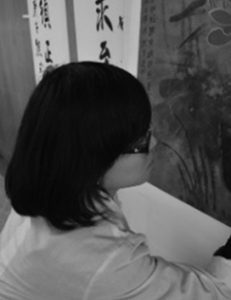 Tai worked in the National Palace Museum to refine her skill of painting restoration from the rare, great ancient paintings. Currently she is working in the Conservation Center of Cheng Shiu University in Kaohsiung. Cheng Shih Chiang is a paper conservator who works at the Conservation Center of Chen Shiu University. He majored in Wood Based Materials and Design in College. Then, in 2005 he entered the Paper Conservation Group of Graduate Institute of Conservation of Cultural Relics and Museology of Tainan National University of the Arts to study the master degree. He seized the chance of internship at Harry Ransom Center in the University of Texas, Austin, and he not only started to study conservation of three-dimensional paper artifacts, paintings and rare books, but also involved in some works which relate to exhibition installation. After he got his master degree in 2009, he has been working at the Conservation Center on heritage preservation and presentation of paper works and contacting many Eastern and Western cultural relics and artifacts. Cultural Heritage Conservation Department, National Yunlin University of Science and Technology, Taiwan. He gained his MA at the National Yunlin University of Science and Technology, Master of the Cultural Heritage, Department of Cultural Heritage Conservation. He also received a Bachelor in Chemical Engineering. While his learning he was committed to restoration of ceramic materials and Nanotechnology for conservation. 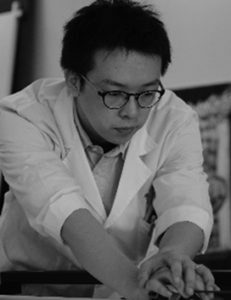 Since 2011 he is working at the Conservation Center of Cheng Shiu University as object and ceramic conservator. 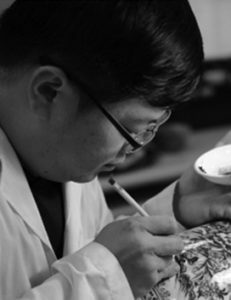 Lee Meng Ken is a conservator that works in Object Department at the Conservation Center of Cheng Shiu University. He has MA degree of Cultural Heritage Conservation from the National Yunlin University of Science and Technology, and several years of experience in sculpture conservation (especially in metal). 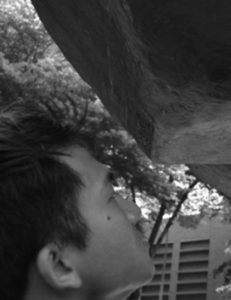 Lee is interested in cleaning, repatination, coating, preventive treatment and conservation ethics of outdoor sculptures. Contemporary and public art also are his professional conservation duties and helps managing collections and giving preservation suggestions. He has carried out conservation projects for government institutes, museums, galleries, auction companies and private collectors. 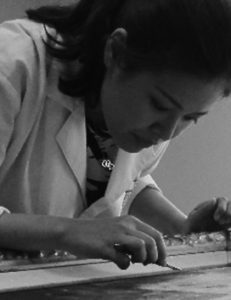 Chen Yi Tsen is a conservator that serve in Object Group of Conservation Center of Cheng-Shiu University in Taiwan. She has MA degree of Cultural Heritage of Conservation department in National Yunlin University of Science and Technology, and several years experience for sculpture / Object conservation (especially for metal). 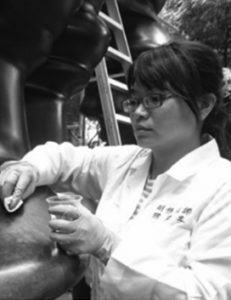 Chen is interested in cleaning, repatination, coating, preventive treatment and conservation ethics of outdoor sculptures. Contemporary and public art also is her professional conservation works. Her customers include government institutes, museum, galleries, auction companies and private collectors, and help owners to conserve objects, survey condition, manage collections and give preservation suggestions.